Our cold air intake for the 2011-2016 Ford Powerstroke 6.7L was engineered to minimize air restriction and flows 36.98% better than stock. This kit comes with a fully enclosed airbox that protects the filter from dirt and keeps out engine heat. 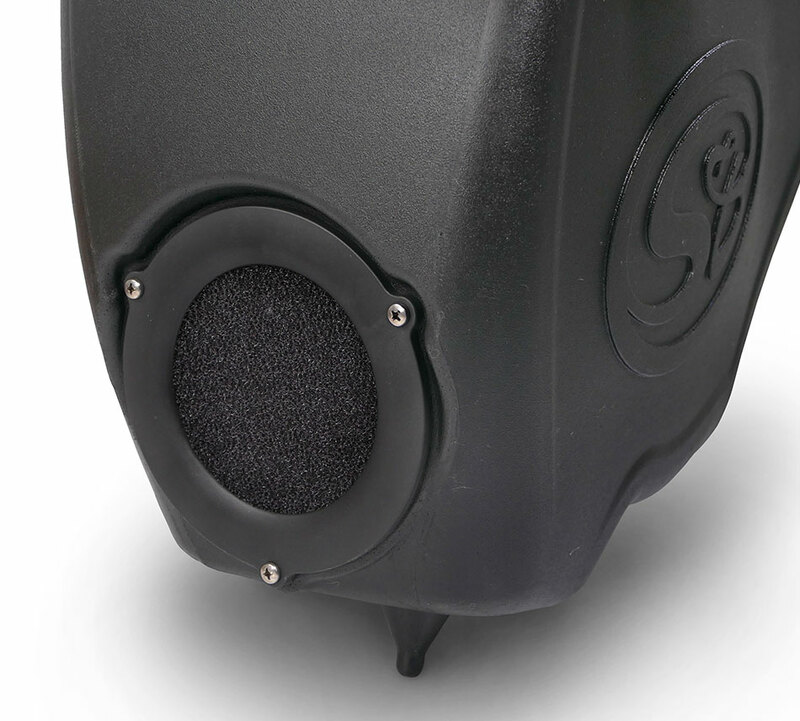 Completely redesigned for a huge increase in airflow and an easy installation. 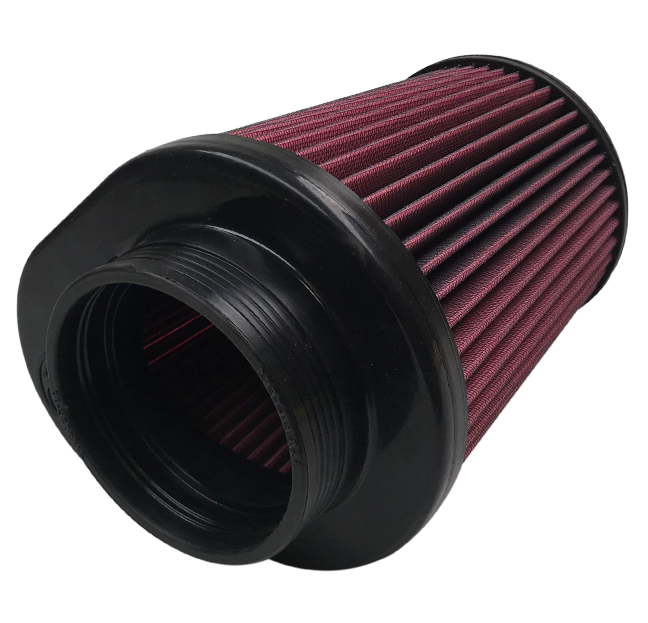 The larger air filter can be easily installed and removed without having to take out the intake tube. The 75-5104 has two airflow configurations depending on your needs. 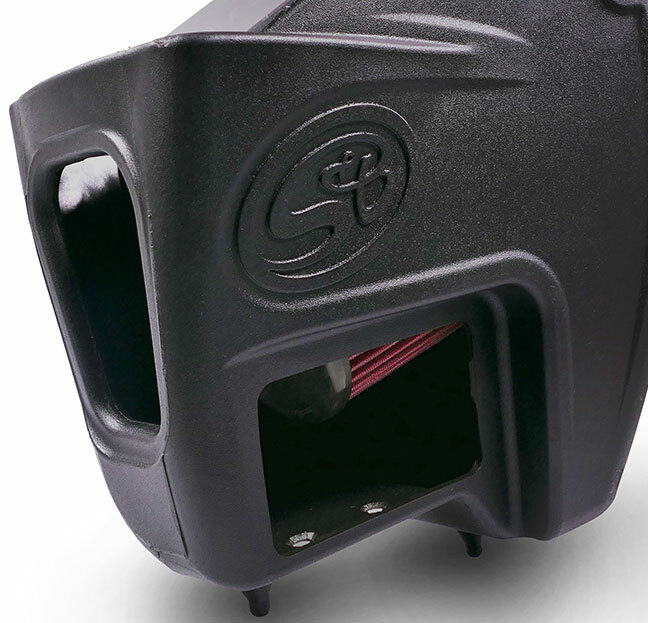 Using teh included silicone box plug will seal the airbox, making the front inlet the primary source of air. An added auxillary inlet features a foam piece to help protect your engine in the event the main inlet becomes blocked. 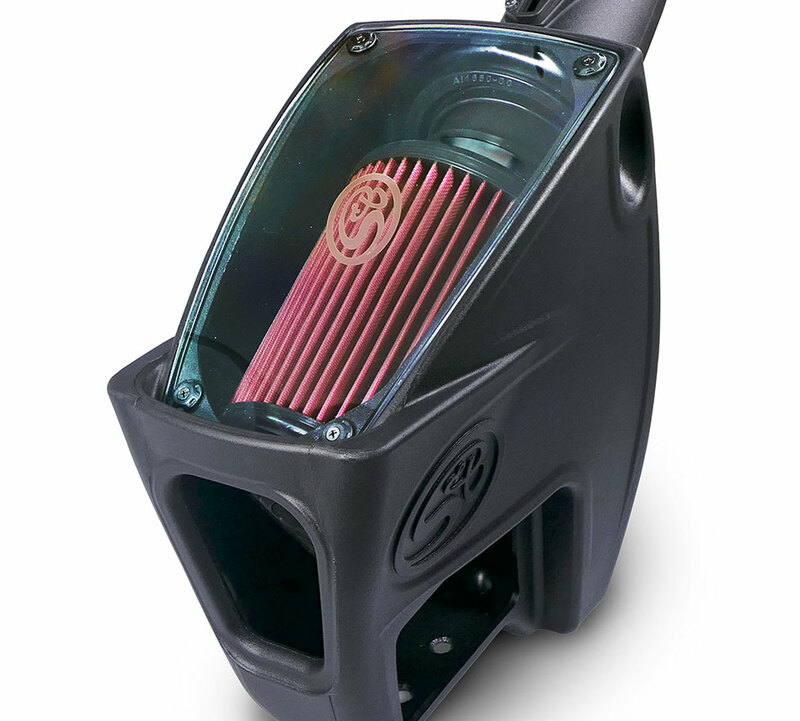 The intake runs through the silicone tube seal on the airbox that compensates for engine movement, while still providing an effective seal against engine heat.